Julian Assange, the founder of WikiLeaks, has been arrested after spending seven years inside Ecuador’s embassy. While Julian Assange stayed at the embassy, he adopted a cat. Now that Julian Assange is being extradited to the United States, people are wondering what will happen to his cat. 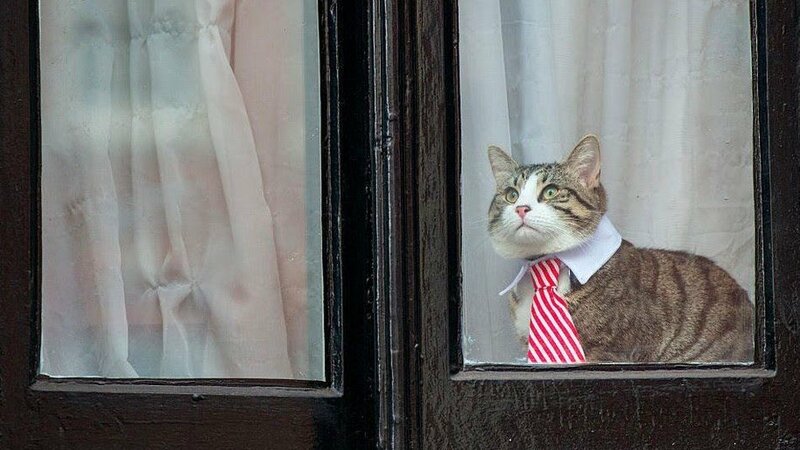 It appears that before Julian left the Ecuador embassy, he gave the cat away. So while Julian may not be doing so well these days, hopefully his cat is doing fine and that’s all that really matters after all. To read more about Julian Assange’s cat, click here.